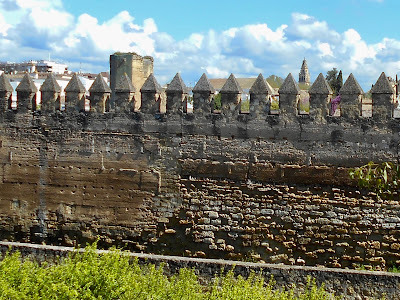 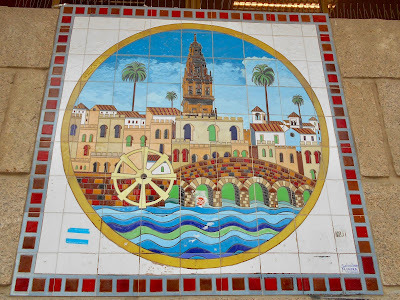 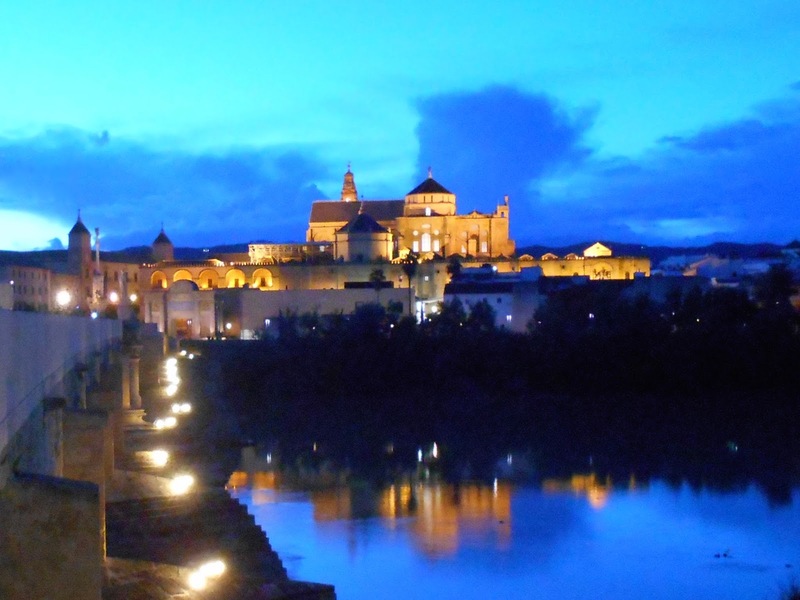 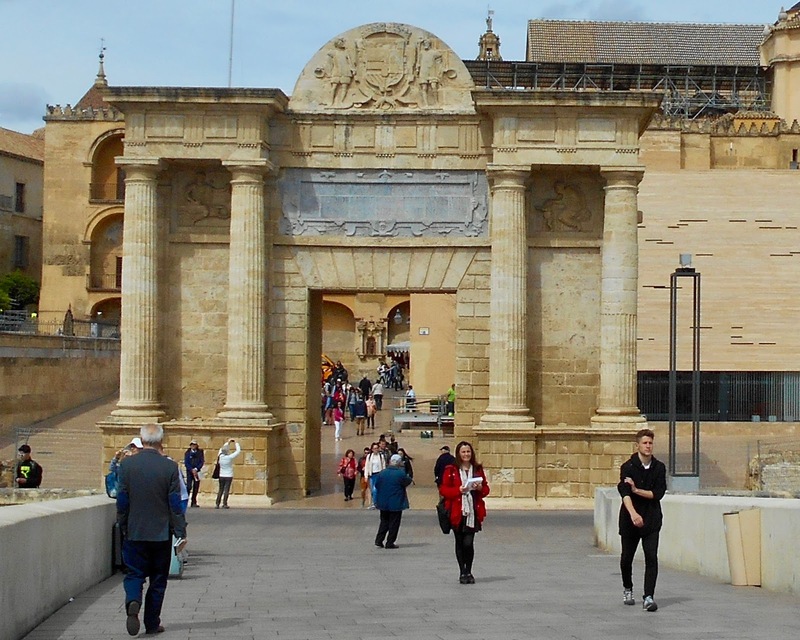 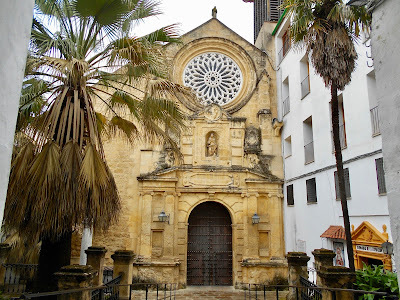 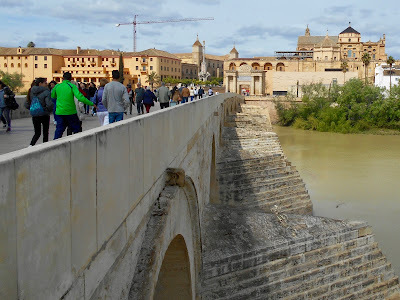 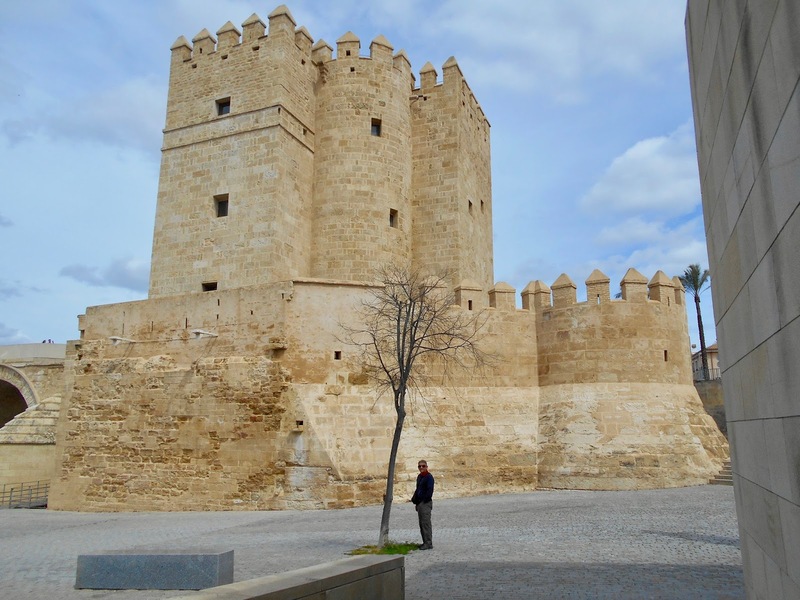 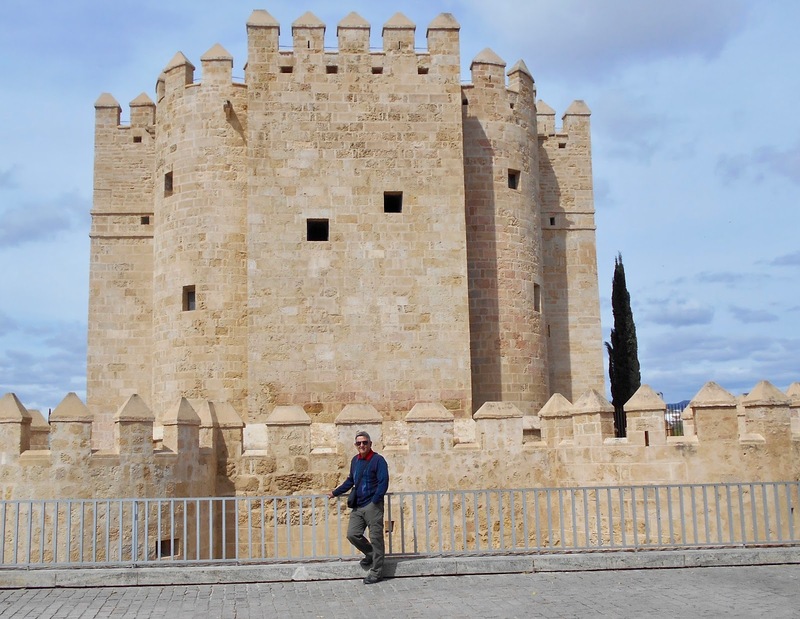 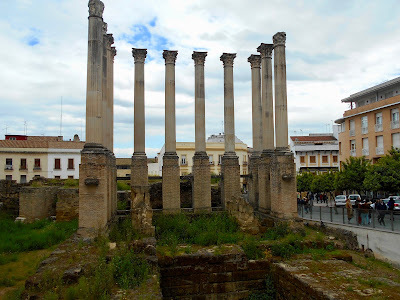 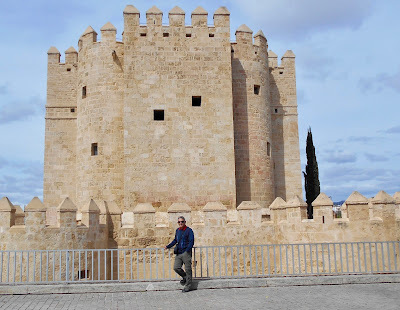 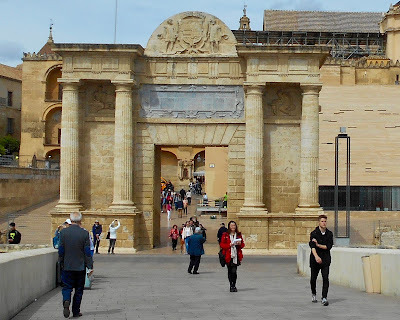 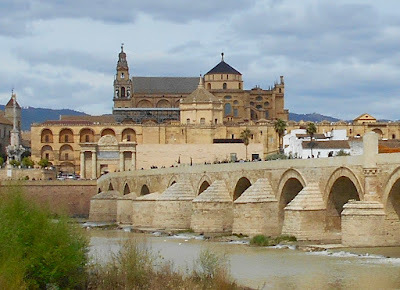 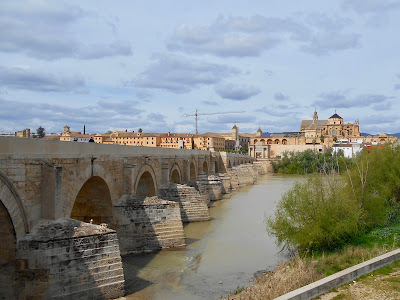 Cordoba is one of the most fascinating cities we've visited. 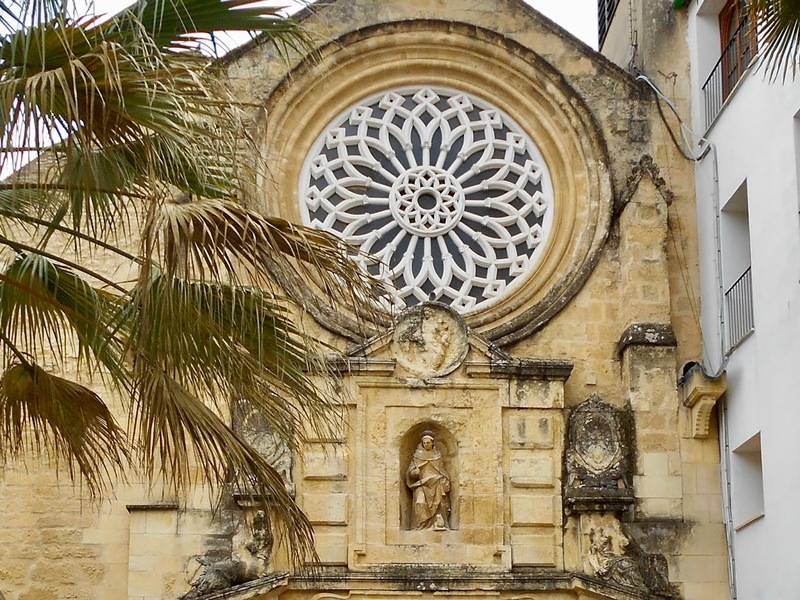 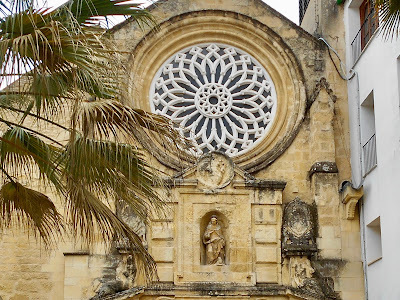 Combine its vibrant Spanish zest for life with its diverse culture and there is a lot to love about this place. 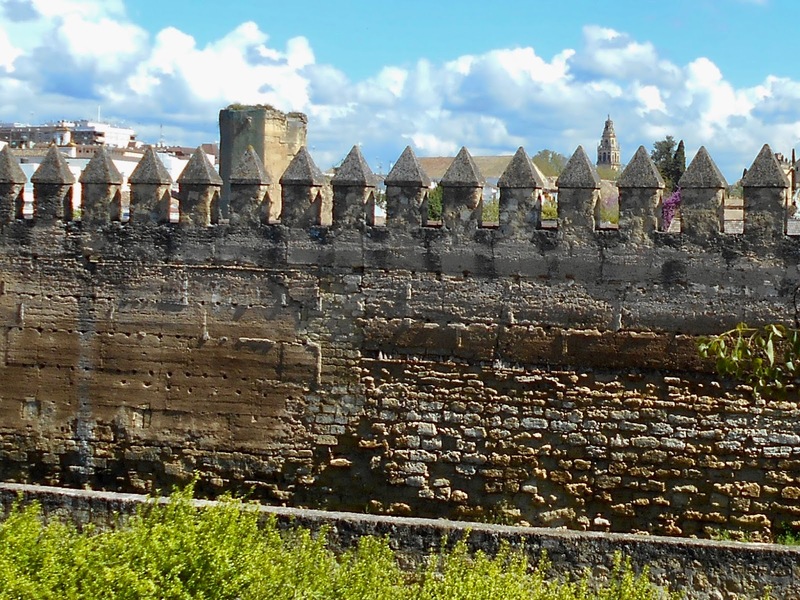 It's not just a medieval city. 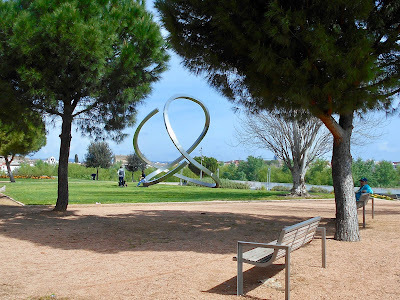 It's a modern community of 800,000 with all of the mod cons and amenities. 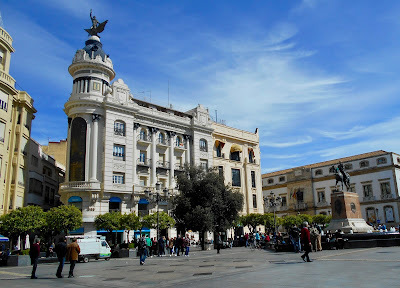 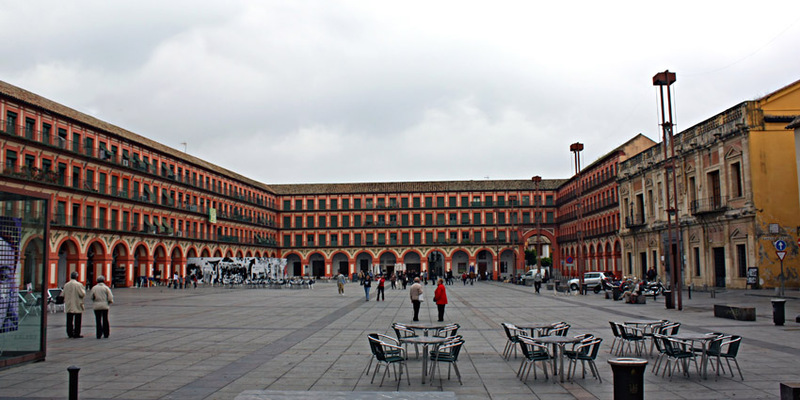 This square, the Plaza de las Tendillas, was constructed in 1920 and is now the hub of many brand name shops selling everything from shoes to clothing, jewelry, furniture, etc. 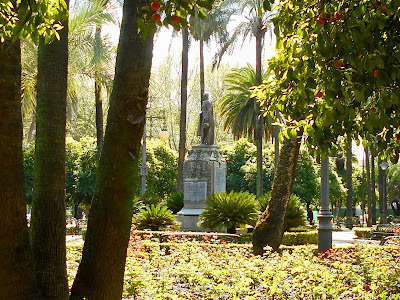 A few blocks further west and about halfway between the plaza and the train station is the Jardines de la Victoria, named in honour of Queen Victoria. 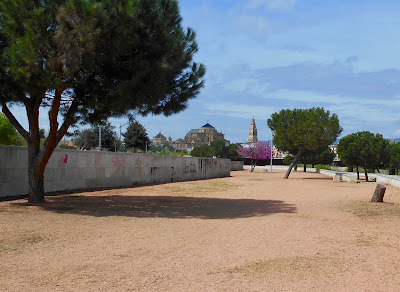 Remnants of the city wall remain, although parts were demolished to make way for highways. 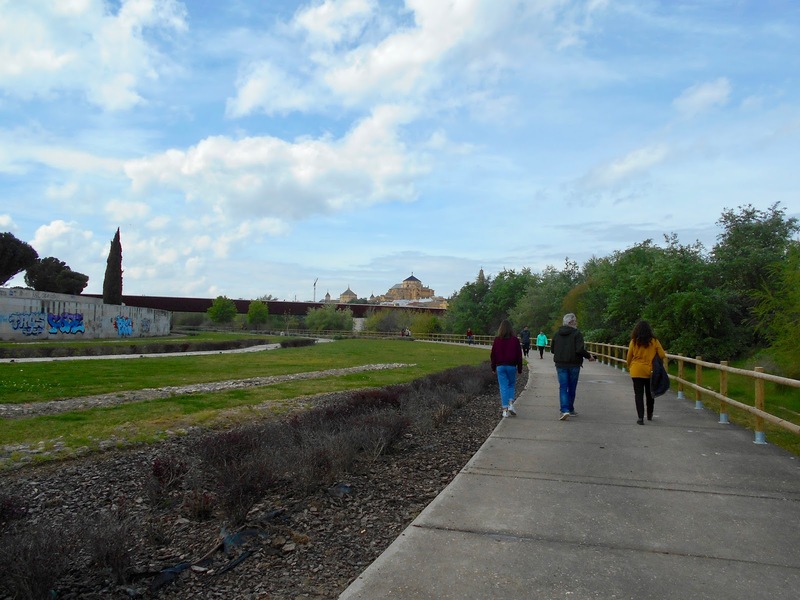 But that doesn't mean the pedestrian is on the endangered species list. This wide walkway follows the Guadalquivir River and is a favourite with walkers, dog owners, joggers, runners and us! It stretches for miles and allows easy access to any of the bridges that connect the inhabitants living on either side of the river. 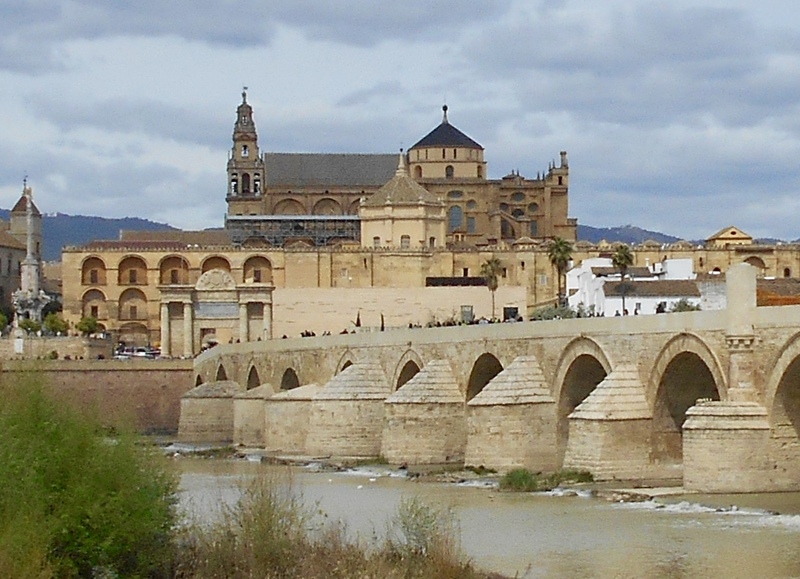 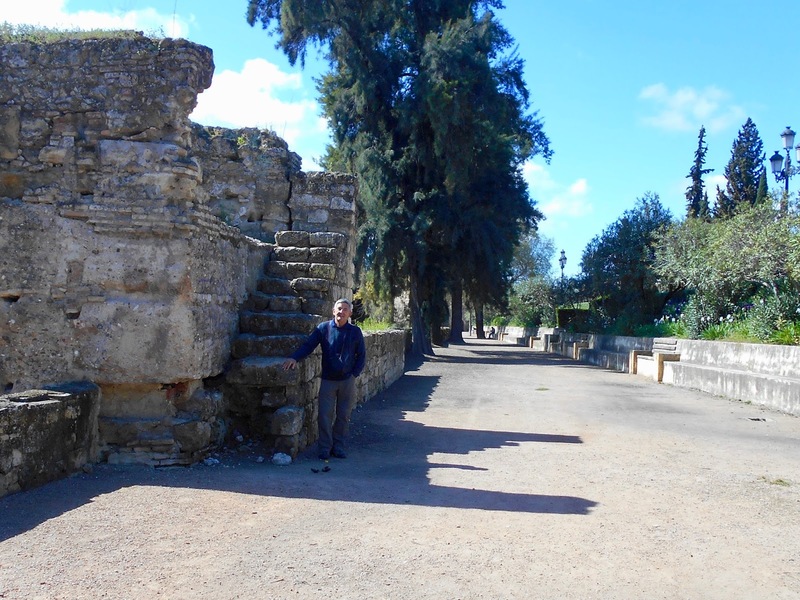 This bridge, the Puente Romano, was constructed in the early 1st century BC. 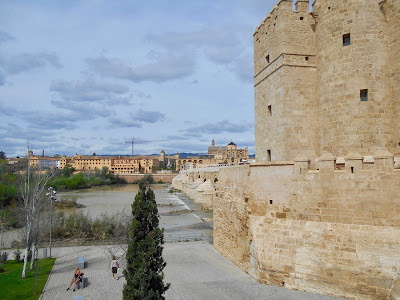 At the other end of the bridge across the river is the Torre de Calahorra. 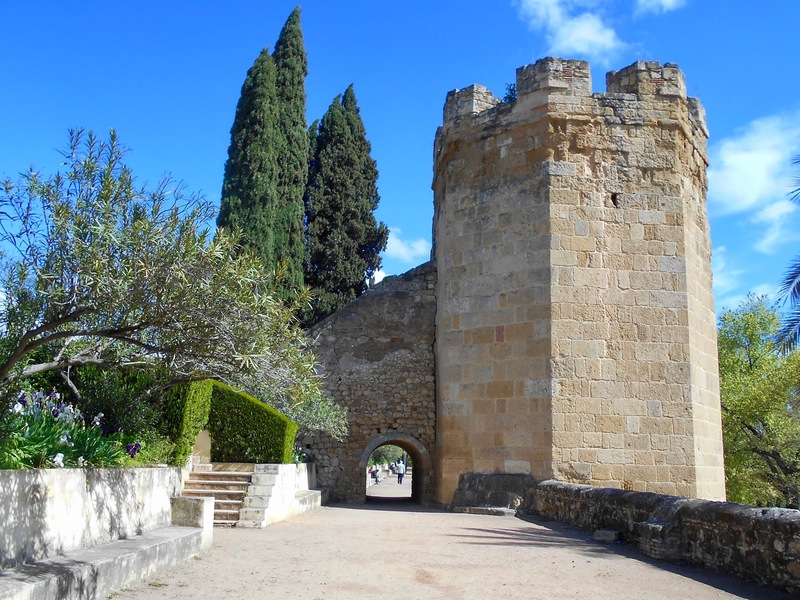 This medieval gate-tower is now home to a small museum. The bridge is busy with tourists and locals alike day and night and a variety of buskers and musicians add to the experience. 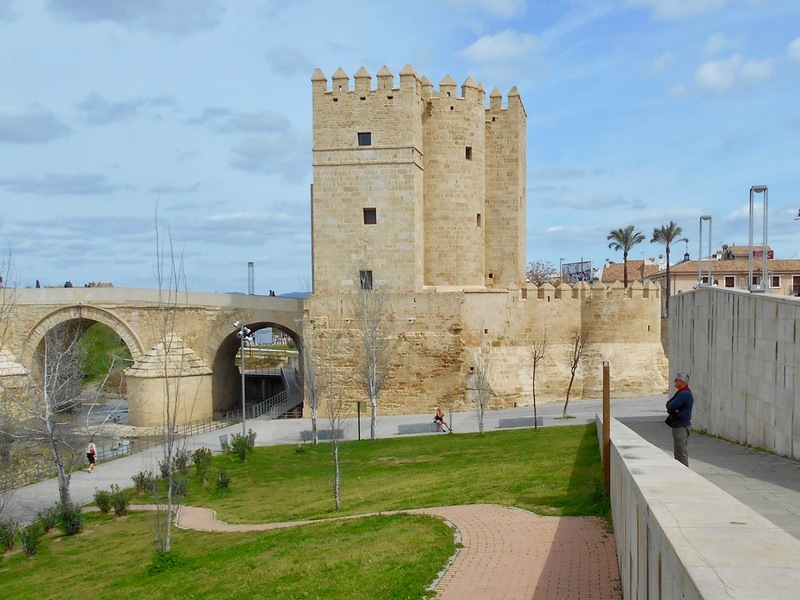 On the same side as the medieval gate-tower is riverside walkway. 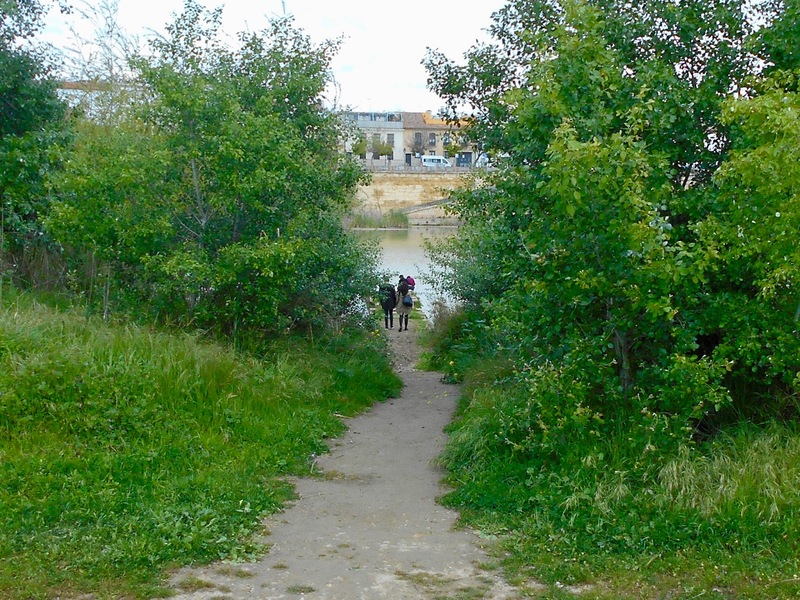 Like its counterpart on the opposite side of the river it provides ample room for a stroll, walk or run. It also leads to Parque de Miraflores. Further north of the river still, and along the busy city streets, on our way to the Palace of Aviana we passed the ruins of a Roman temple, two churches and a fountain in another tiny square. 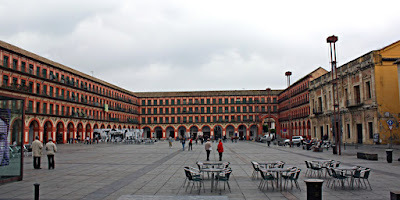 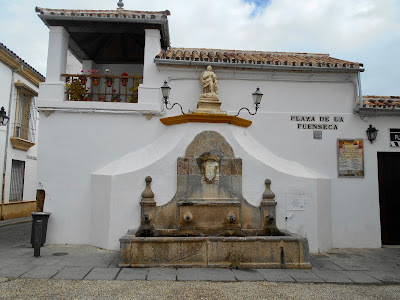 Another stop was the much larger Plaza de la Corredera. 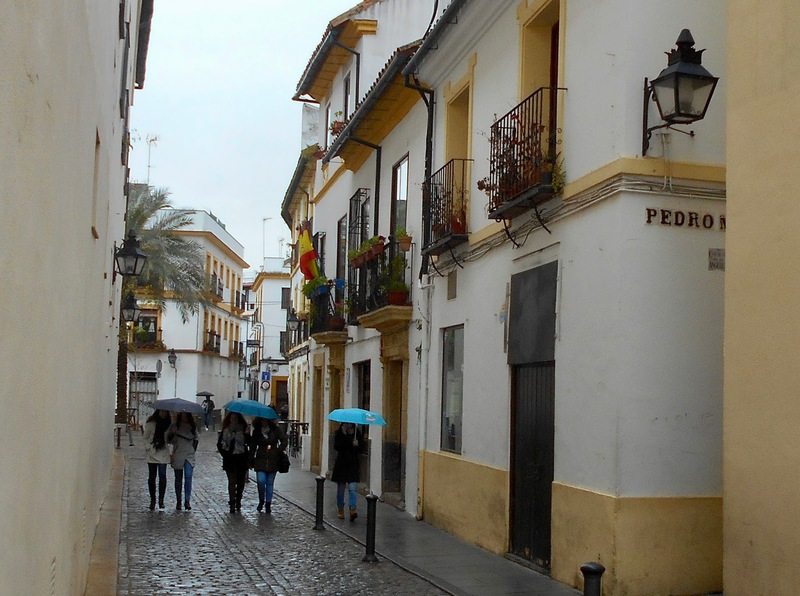 It was cold the day we were there, but we took a hint from the locals, ignored the weather and sat alongside them at an outdoor cafe and had lunch. By the time we finished lunch it began to rain. We headed back to the comfort of our flat. 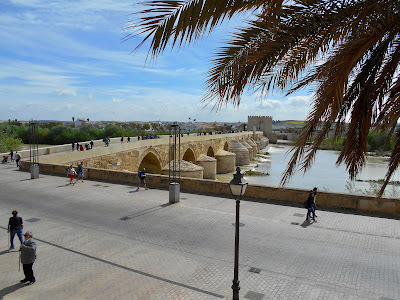 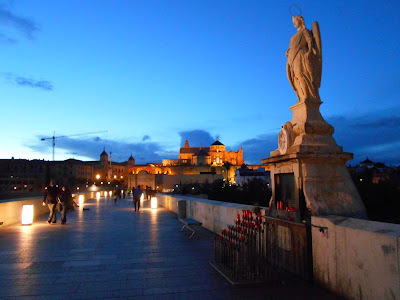 We enjoyed every minute of our week in Cordoba and hope to return to this gorgeous city.